People nowadays prefer to spend their pastime on being a couch potato. Instead of occupying their selves on reading a good book to somehow increase their vocabulary, televisions and computer games are favored to babysit children and are considered to be the least expensive way to soothe tiredness for adults. Teachers, considered to be unsung heroes, seem to have a losing battle. Apparently, they are living up to what they are tagged of. Grammatical errors are inevitable. Let’s face it, even excellent and professional writers make mistakes. Most of these errors normally happen on cover letters and résumés, websites, signage, and print advertisements. Whether this may sometimes turn to a comic relief, still it is worrying as it may result to failures. May it be due to some carelessness or ignorance, who knows? The HR personnel do not know the difference either. A person’s cover letter and résumé are not just a brief summary of who the person is. It is not just a synopsis of a person’s background; nevertheless, it is a catalog of one’s self. It is like selling yourself, promoting yourself so that a company will hire you. It should be noted that résumés represent a person. This is why carelessness is not a valid reason in having grammatical errors on a résumé. Having misspelled words and poor grammars on a résumé does not make for an effective and convincing marketing piece about one’s ability and skills. Majority of the résumés submitted never makes it through the first stage of the hiring process. Instead of making it straight to the employment stage, they make it straight to the rubbish bins. These are all caused by simple spelling and grammatical errors and the usage of irrelevant ideas and languages. Most employers’ analytical thinking is why would they hire such applicants who don’t even know how to spell words? Or why should they be hired for a position whereas they even don’t pay attention to a single detail in their resume? See how it works? One single mistake could lead your résumé straight to the rubbish bin. Employers relate these carelessness or ignorance to inadequate communication skills and attention to detail of an applicant. Sometimes, due to the quantity of paper to read through, all means of shortcuts is taken to consideration by the HR personnel and it includes grammatical errors. 1. Run the built-in spell checker in your word processor. The spell-checker is always a good start to proof-read your résumé. Just bear in mind that the spell-checker in word processors only checks incorrect spelling of words, not grammatical errors. 2. Read your résumé aloud. 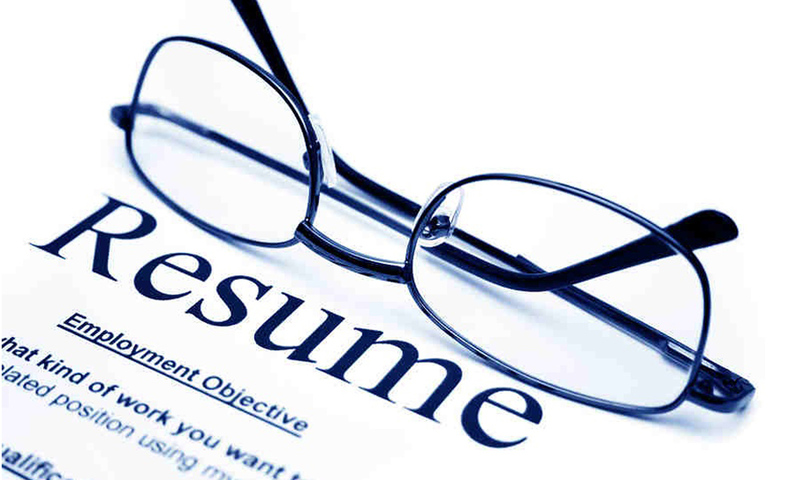 Reading your résumé aloud will allow you to make sure that words are spelled and used correctly. It would be much better if you ask someone to read it aloud for you. This way, you can hear the mistakes and missing words as that someone will look at it with fresh eyes. 3. Run a grammar checker tool. This checker is also a great help for checking; however, you will still need to double-check your résumé after running the tool as the tool does not take into consideration your style of writing. 4. Let your résumé sit for a couple of days. This is to forget the details you wrote and you will be looking at it with fresh eyes. Make sure everything’s in their proper place such as the correct spelling and use of words. 6. Check for redundancies and jargons. Most writers tend to be wordy at some point. Some words and sentences are sometimes repeated and there’s no reason for doing it. Employers do not want their time to be wasted on redundancies, pretentious languages, and jargons. Now that you have followed the instructions carefully, prepare yourself for you dream job! If you have a hard time making your own resume, seek TeamResumePros’ expert writing service. Visit our web site or contact 1 (844) 993-3841 for more details. Let our skilled resume professionals and experts help you win your dream job with a stunning resume. Consult our resume writing service provider today to get started!